As the search engine giant places a growing focus on smartphone and tablet based users, it has also concentrated on mobile marketing. Now that mobilegeddon is upon us and Google has placed a far more concentrated focus on searches conducted over smartphones and tablets, it has now updated its algorithms to give a boost to mobile AdWords, as well. This shift in AdWords focus has been made in order to align with the current trends in the marketplace. 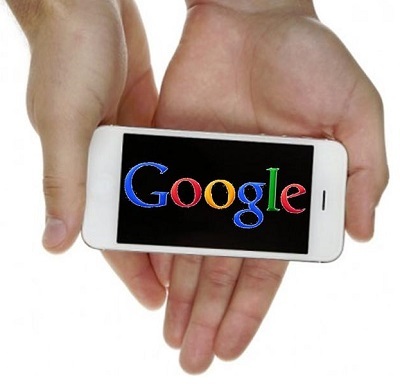 Google has now spotted tremendous opportunity in mobile AdWords as marketers are making an increasing attempt to be able to connect with people by way of mobile marketing techniques. The goal is to make contact with people throughout various different vital points along the route to making a purchase. This helps to explain why the latest innovations in AdWords have had a great deal to do with being able to score that moment by way of automation and to be able to measure each one. Google made a live streamed presentation with regards to the changes that have been made for mobile AdWords. The live stream was hosted by the vice president of product management at AdWords, Jack Dischler. There, he explained to an audience of an estimated 20,000 people, that mobile technology is always at the very top of the marketing mind. He described the way that ads can help to win over consumers at those vital moments along the path to purchase, through a process of contacting them at the right time, in the right way, through automation that will allow it to happen at scale, and then to be able to generate usable metrics about that moment for continual improvement of the experience. Google has developed three new mobile AdWords experiences for some of the industries that are currently considered to be the hottest: hotels, mortgages, and auto. An explosion of searches has revealed that people are using their devices to plan their supermarket trips. According to search volume data that was collected during the second quarter of this year, consumers are looking to mobile technology on a rapidly increasing basis as they prepare their grocery shopping lists. Among the searches that were performed over smartphones and tablets, recipes topped the ten leading grocery terms. The largest sub-category search terms over mobile technology, according to the BRC-Google Online Retail Monitor were organic and natural foods. When all devices were taken into account, the searches conducted for grocery items rose by 22 percent when compared to the same quarter in 2013. The volume of searches conducted over smartphones greatly outpaced those of tablets. The data showed that there was a rate of growth of 94 percent over smartphones and 28 percent over tablets. 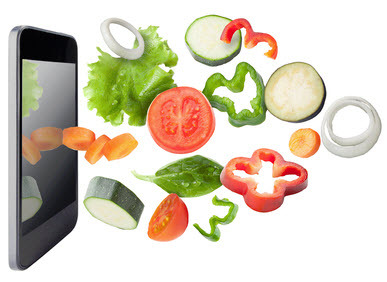 There was a tremendous spike in the number of searches conducted over mobile technology for organic and natural foods. The growth rate in this category over smartphones was a tremendous 133 percent within that quarter. Among tablet users, the increase was recorded at 21 percent. Overall, when all devices were taken into account, there was a respectable growth of 23 percent. It was the barbecue and grill category that brought about the largest search volume growth across all of the various devices, at 40 percent. Thirty seven percent more searches were conducted within the special and restricted diet foods category. Latin American cuisine saw a growth rate of 35 percent, while meat and poultry searches were up 34 percent and beer rose by 32 percent.